I appreciate all the support from people last year when I considered ending the website given how the world has moved to social media. But I realised I’d keep writing this blog even with zero readers. Because for me it’s like a personal journal. As in recent years, I expect that 75% of my rides will continue to be on gravel/unpaved roads. I just enjoy the solitude. I’ll also continue to ride a lot more locally than I used to. I am lucky to have so many interesting options from home, including numerous routes up my home mountain Mont Salève. See here for how I did versus my 2018 Cycling Challenge. This year’s challenge will be similar to last year’s – a good thing I believe. Anyway, without further ado. This helps remind me to visit old “friends” that I’ve cycled many times – while continuing the never-ending search for fun new climbs. This gets harder and harder every year, but the Alps are a big place, and I have lots of ideas – both paved and unpaved. I enjoy few things as much as cycling a worthwhile big climb for the first time. Col de la Met (2735m) was a brilliant new ride in 2018. I think I can get high directly behind me on far side of lake in 2019. I’ve managed to cycle above 3000 metres seven times and each was a truly memorable experience. I have a few ideas for 2019 like the Theodul Pass beside the Matterhorn (3285 metres). But I need to stare at some maps and make a plan. Again suggestions welcome. 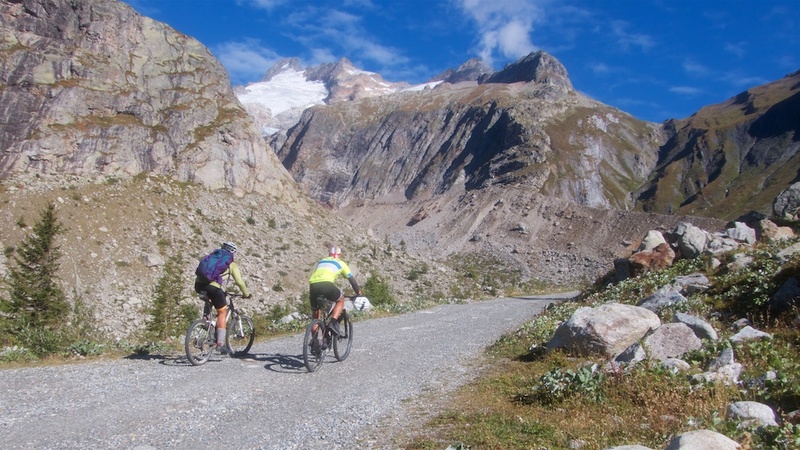 See here for 25 of the highest unpaved roads in Europe including several above 3000m. I have very little experience with here-to-there touring but twice in 2018 I filled a back-pack and headed out for a few days. Both were all time highlights of my alps cycling life. I have a few ideas, and hope to do a few trips, perhaps one or two for longer than last year. I’m certain this will include some adventures in Piemonte along the Italian/French border, perhaps something in Switzerland, and as usual, I’ll stare at a bunch of maps all over the Alps (and Juras/Massif Central/Vosges). We’ll see. 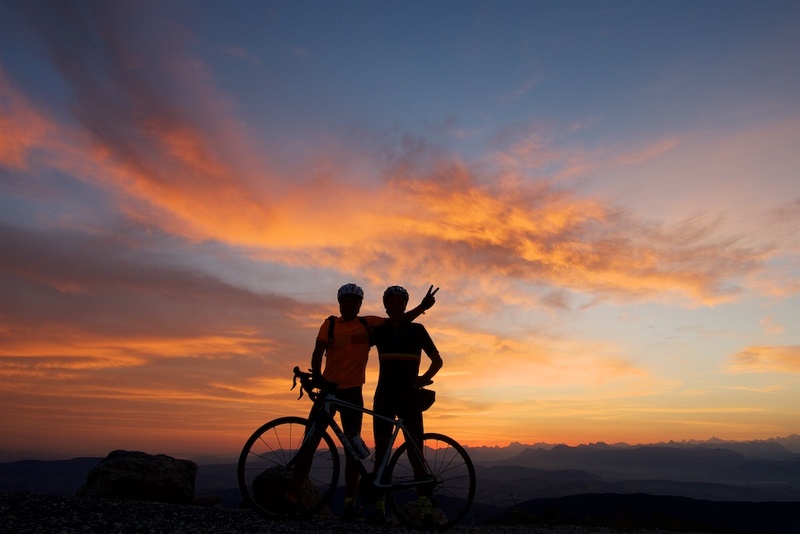 In 2017, Steel Wheeler buddy Tim and I cycled up Grand Colombier in the dark to reach the summit for a glorious sunrise. It was one of the highlights of the year. In 2018, we cycled to Cime de la Bonette for a chilly but beautiful sunrise. In previous years I’ve visited Ventoux, and Galibier to see the day begin. It’s now a tradition. We’re busy brainstorming possible summits with commanding south/east views. Suggestions welcome. It’s good to be in love with your wife. I don’t often blog about Doreen, so here are some of my favourite cycling photos with her from 2018. Great post, as always, Will. Happy New Year and happy riding to you both! Hi Will. All the best for a great 2019! Theodul Pass has been on my list for a few years now. I really want to make it happen in 2019. We should consider doing it together. I don’t like out-and-back rides so I’ve thought about making it a 2-day trip, going into Italy via Fenetre de Durand from Val de Bagnes and back via the Theodul Pass. Best, Chris. Fenetre de Durand is passable on both sides? Cool. The only issue with your suggestion is that you are 3 times as strong a cyclist as me. Happy New Year. Happy new year! And here’s to more adventures on a bike! Hello from Brazil. I’m so glad to found this great website in 2013. Since then, it’s been help me a lot to plan my cycling trips through Europe. Thank you for sharing all this great information with us. Happy New Year to you and Doreen. ??? for touring. I moved to Annecy five years ago and started cycling after a 20 year hiatus. Your blog has been my go-to guide for almost every ride I do. Thank you for continuing to update it, and for inspiring me to explore this beautiful region. Good luck with your 2019 challenge! 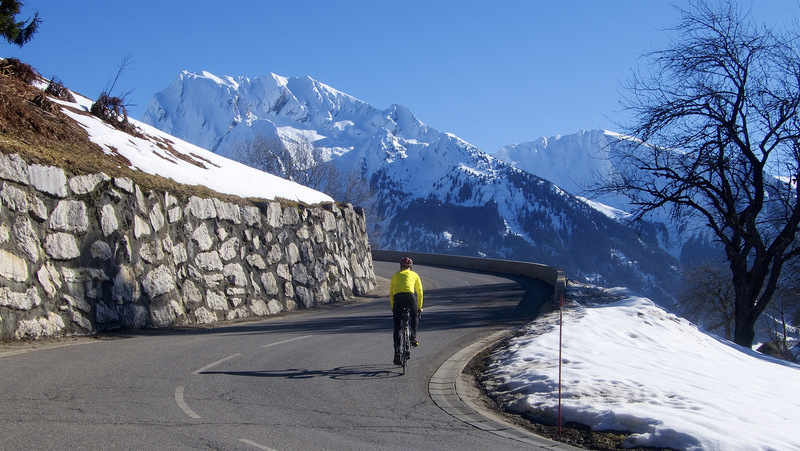 Will, your blog is a reference for everyone discovering the Alps on the bike. It’s fun to read, bust most of all it’s an encyclopaedia, the first resource I and everybody I know turn to when planning a new ride. Never stop it. It would be great to have all this knowledge in a book or two one day, by region, description of Cols, more systematically, pictures, maps, facts. It will become “The Will”, like the “Petit Robert”. Happy new year Will ! 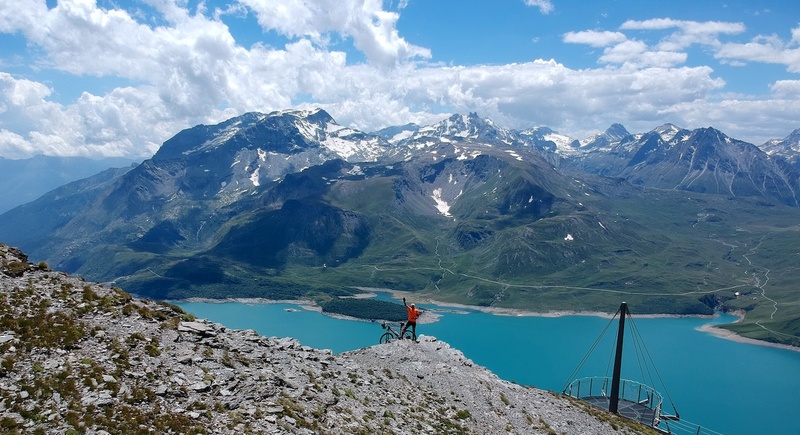 Thank you very much for the very very very best site of cycling in the Alps and other mountains. 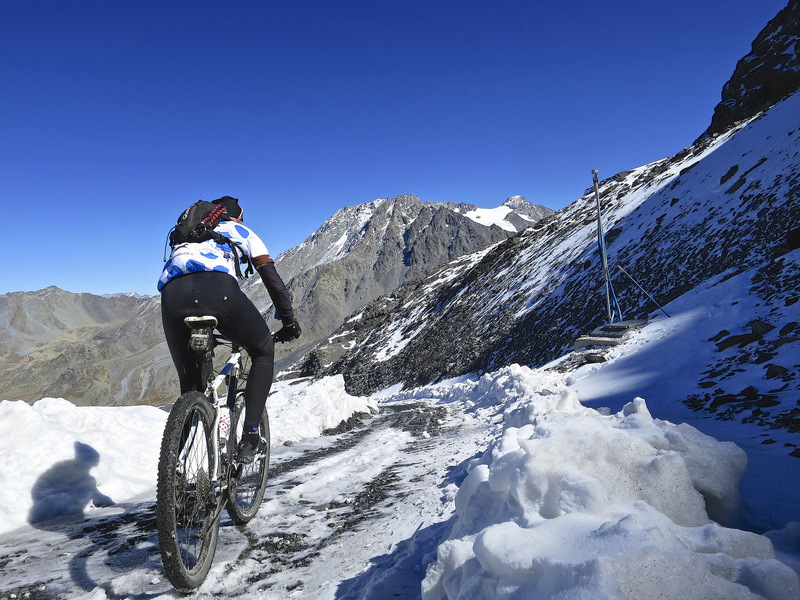 Happy New Year Will and good luck with this year’s challenge, you are the Alfred Wainright of cycling in the Alps! Thank you for sharing your rides. Good morning Will, and happy new year. Thank you for what you have written and compiled about climbing with your bike. My partner Jen found your site three years ago as we were planning our second bike trip to Europe…the insight and inspiration you provided were very helpful in creating a fantastic bike trip. Given the detail and inspiring photographs, we have used your site extensively since then…the Pyrenees in 2017 and the Maurienne valley last fall, plus the Ventoux triple. You are our best Trip Advisor! I hope you will continue with your site, it is a wonderful place to visit when the days are -30C here in Ottawa and we plan our next visit to the climbs in your part of the world. Hi Will, with retirement approaching, please do not stop writing and informing us. It is so interesting and informative, thank you. 3 years and Europe will be the playing field for a two year trip for me and my awesome cycling girlfriend partner. We have just discovered your website and are now starting our series of climbs bucket list. Yahoo! What a trip this will be . Have a great 2019 cycling year. Like you, I have a site which is my personal journal but it is open for all to read, not that anyone would want to. Appreciate you keeping your journal going. Hello Will, i just found this site in sept 2018. I can not thank you enough for the wealth of information you have posted. I very much enjoy reading the stories for each ride. Please please please continue . I to have a love of gravel and off road. I am currently planning a trip to french alps and italy . Most of my rides will be a combination of routes you have posted. Do you live in europe ? i am canadian as well. Would be great to cross paths with you this summer maybe share some trail time ? Thanks again for the great blog , truy amazing !! Count me in for gravel tours (gravel bike build is almost finished!) and sunrise ride! If you ever find yourself in need of a sunrise ride buddy, I will happily step up to the task! !